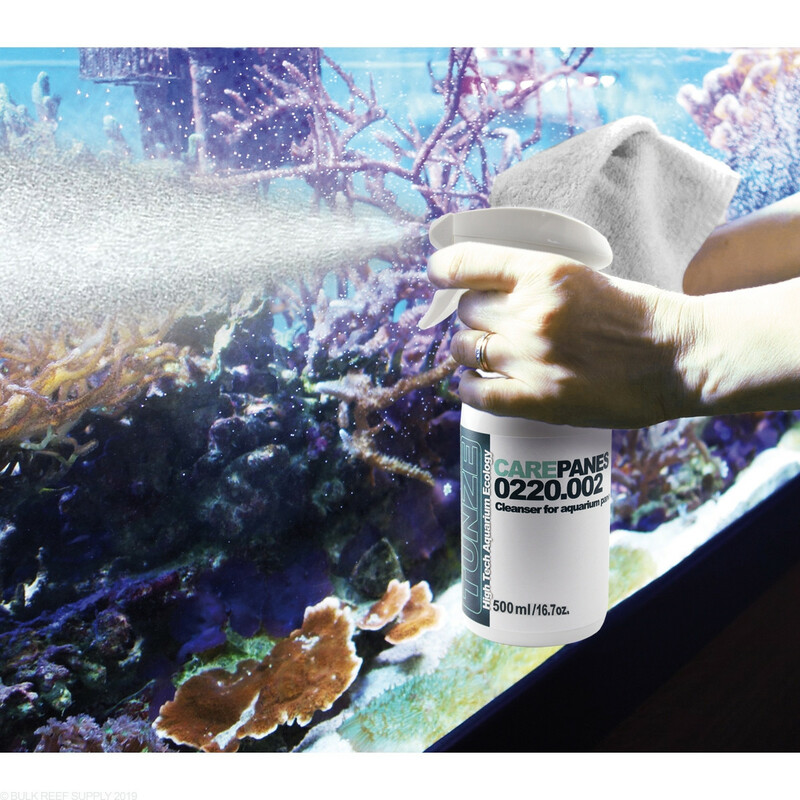 Keep your aquarium glass sparkling clean! 100% Saltwater Aquarium Safe Cleaner, Tunze Care Panes is made from organic surfactants with an ethereal oil. 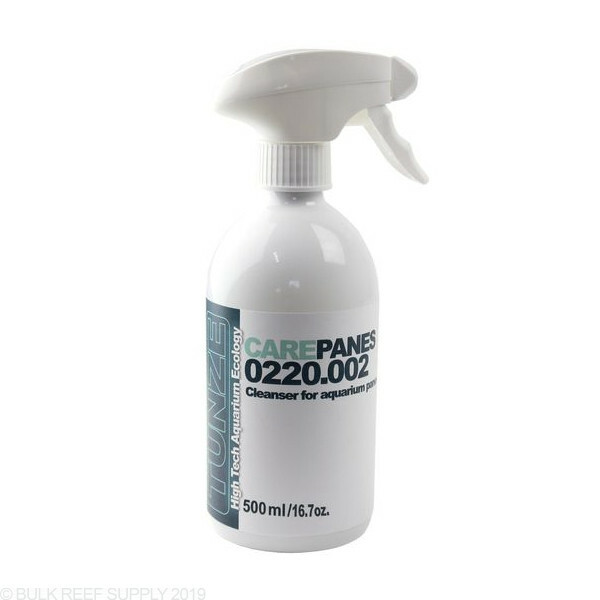 The extremely powerful combination of natural ingredients makes a foam when it is sprayed, which helps to target specific spots and to keep overspray to a minimum. The handheld spray bottle means there are no aerosol gasses used, and Tunze even went the extra step to use 100% recyclable plastic packaging with no metal parts. 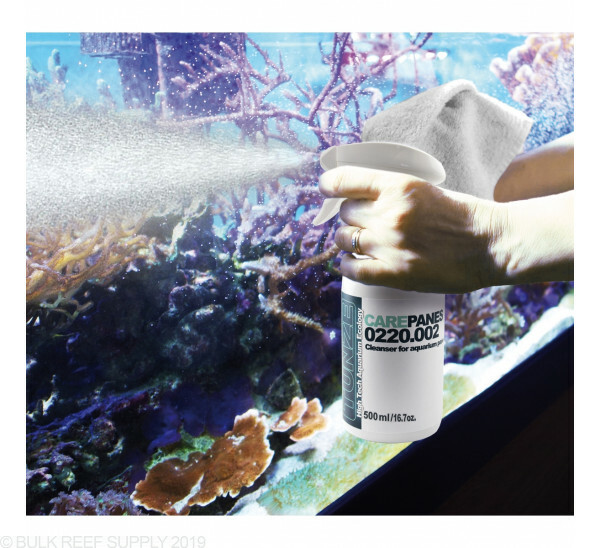 The special formula can be used on virtually any smooth surface, but works especially well on aquarium glass, acrylic, lights, cabinets, and more! Just apply Tunze Care Panes to a microfiber cloth or directly to the surface to be cleaned, and give it a few quick wipes until it is dry. I was kind of skeptical at first, but I was getting tired of using vinegar and water to clean the glass. Let’s just say when I used this product I was extremely happy on how clean the glass was without streaks. It’s very simple to use, and smells much much better than vinegar.